Wednesday 27th February 2pm – 4pm. Its Bingo time for this month’s social get together in the Social Services on Wednesday 27th. Please come along and join in the fun. Small cash prizes and raffle prizes to be won. Community Bus available for pick-ups. Please contact David on 086 8091506. There was no winner of the Crossmolina Deel-Rovers GAA Club Lotto Jackpot on Saturday night 9th February. The numbers drawn were 1 – 12 – 19 – 27 no punter matched three numbers either and six tickets were drawn. Maureen Earley Kincon Ballina, Liam Garvey Glencreevy, Crossmolina, Evelyn and Vincent Crowley Moylaw, Crossmolina, Michéal and Phil Jordan Enniscoe Castlehill, John Valerio Lake Rd Crossmolina, Johnny and Claire Loftus Castlehill Ballina. They each win €25. The draw took place in Maughans Bar. This weeks Jackpot is €3,450. Many thanks for all your support. Social dancing has resumed in Eskeragh Old School House on Tuesday nights starting at 8pm to 10pm.Come along and support. Killester Travel have teamed up with local man Gerry Higgins to offer you a wonderful holiday opportunity. Departing on 7th October and flying from Belfast to Palma Majorca you will board the MSC Fantasia for a seven day cruise on an all inclusive basis with drinks package. Coach transfers from Mayo to the airport included. Information evening on Wednesday 20th February in the Cot and Cobbles Bar and Restaurant on Sligo Road, Ballina commencing at 8pm where all details will be available. 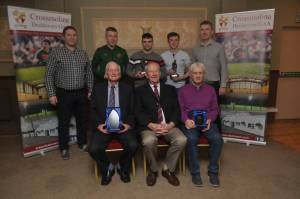 At the Executive meeting of the Crossmolina Deel-Rovers GAA Club on Tuesday night 12th February. Votes of sympathy were expressed to the family’s of the following who died recently. Francis Standish Offaly mother of Sarah Loftus Creevy Castlehill, Frank Fox Church St Crossmolina, Michael Garrett Church Rd Crossmolina, Julia Naughton nee Dowling Cardiff Wales sister – in – law of Frank Naughton Enniscoe, Bridie Walls nee McGuinness Ard Na Mara Salthill Galway sister of Sean McGuinness Lecarrow, Josephine Armstrong nee Fahy Thomas St and formerly of Sarnaught Castlebar mother – in – law of Martin Gilroy St Marys Park Winnie Kelly nee Clancy Lemington Spa England aunt of Padraic Clancy Carrowcluughy, Patrick McAndrew Bangor uncle of Rose Clancy Carrowcloughy, Willie Hopkins Tullyegan and Crossmolina, Mary Moran Nee McNeela 20 Erris Rd Crossmolina, Peggie Lawler Dublin mother of Dave Cuilacurrane , Johnny Noone Cloughbrack, Bofeenaun Martin Sheehy Kerry brother of Hannah Timoney St Marys Park, Philip McDonnell Balally Park Dundrun Dublin formerly of Ballyvichmaha Castlehill, Tom McGuire Enniscrone husband of Imelda Loftus Creevy Castlehill. May they rest in peace. Mid-Killala regional dinner dance will be held in Hineys Upper Deck on Friday 8th March. Music Medicine Bow. Tickets can booked from Maeve Tierney Crossmolina. Mary Granaghan Keenagh and TP Loftus Killmurray. A solicitor will attend Crossmolina Day Centre giving information on making a Will. Wednesday 20th February at 2.00pm in the Social Service Centre. €5 and Community Bus will be available. Everyone welcome. 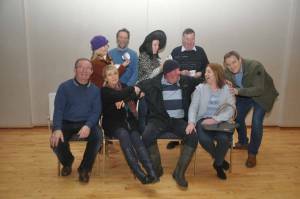 Crossmolina Drama Group presents "A Fish Out Of Water"
Crossmolina Drama Group takes to the stage with "A Fish Out Of Water" a new comedy by Jimmy Keary in Crossmolina Town Hall on Friday 15th, Saturday 16th, and Sunday 17th February at 8pm each night. Mossie Keegan and Pauline Maxwell are newly-wed but Mossie's mother has decided that this modern young woman is a totally unsuitable wife for her farmer son and is determined that her reign in the Keegan farmhouse will be a short one and it is not long before the sparks start to fly in the Keegan household! A great night of laughter is guaranteed. Kilmurry Community Games are holding their U 14 Area Table Quiz on Wednesday evening February 13th at 7 o'clock in Kilmurry Center. MCSA are hosting a 4 week workshop starting Tuesday February 5th to 26th February in Ballina FRC at 10.30am to 12.30pm for further details contact Jean at 0872804164. Trust Church Gate collection: (a voluntary organisation which takes young people with Special Needs to Lourdes every year at Easter), would like to thank all who contributed to the recent Church Gate collection at Crossmolina church. 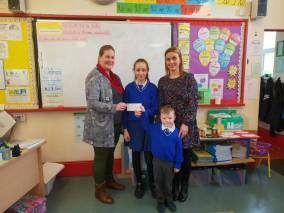 €404.50 was collected. Thank you for your support. For Victims and Survivors of Abuse: will take place on Fri,15th Feb 2019. Bishop Fleming will celebrate Mass at 10am in St Muredach’s Cathedral and light the Candle of Atonement. The Candle of Atonement will be lit at the Vigil Mass in the Cathedral on Feb 16th and the Sunday Masses on the 17th. It will also be lit at Masses on the following weekend – Feb 23rd & 24th - as the Pope gathers in Rome with bishops from all over the world. The death occurred peacefully on Monday 4th February at her residence of Mary Moran Nee McNeela 20 Erris Rd Lecarrow, Crossmolina and formerly of Derrylahan Newport. Her remains reposed at Hiney’s funeral Home on Wednesday evening. Requiem Mass on Thursday in St Tiernans church with burial afterwards in Crossmolina Cemetery. Mary is survived by her husband John daughters Fiona Keane Marian, Anita Regan sons Kieran and Patrick, brothers Padraic and Tony, brothers – in – law, sisters – in – law, grandchildren Hannah, Aaron, Liam and Luke, nephews, nieces, relations, friends and Neighbours. May she rest in peace. The Annual General Meeting of Kilmurry Youths Soccer Club will be held on Wednesday at 8pm in Kilmurry Centre. Parents of children involved in the Club are asked to attend. On Sunday 17th February at 2 pm in Kilmurry the Under 12 Boys team will play Aishling Annacotty FC from Limerick in the Last 16 of the SFAI National Cup competition. In Round 1 the Kilmurry boys defeated St Francis 5-0 in Athlone, Round 2 Kilmurry won 3-2 against Salthill Devon in Salthill, in Round 3 there was a 5-0 home win over Gurteen Celtic from Sligo, Kilmurry were home again in Round 4 this time defeating Newtown FC 1-0 and most recently the boys and their loyal supporters travelled to Kilkenny where they overcame Evergreen FC 1-0. Please come along to support these young players as they try to reach the National Quarter Finals. Crossmolina Day Centre Bingo will take place on Wednesday 13th February, 2-4pm in the Social Services Centre. The Community Bus will be available. All welcome! 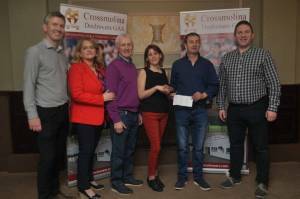 Eamon Howley Chairman of Crossmolina Deel-Rovers presenting Breege O’Malley Keenagh with a cheque for €4,050 which she won with her husband Dermot in the Clubs Lotto. Also in the picture are Cynthia Hughes and Maureen Mulligan Lotto sellers. Congratulations to Tara Hegarty on winning Mayo Championship U11 C singles. Last Saturday Daisy Verry won the U15 B Singles and Emily Loftus won the U15 C singles. Also well done to Kate Ann Loftus and Grace Loftus on reaching the B Semi-Finals before being narrowly beaten. Well done everyone. You did us all proud. A notice board with all the grave names in St Tiernan's Cemetery is on display outside Jarlath Tolan's shop until 11th February 2019. If you have responsibility for a grave please check that the details are correct on the board. If they are not correct complete an Alternation Sheet available at the Church door or in the Library in Crossmolina. Irish Graveyard Surveyors will make the changes before the permanent (updated every three years) boards are erected in the cemetery. St Tiernan’s Cemetery is online at www.irishgraveyards.ie You can email changes via the website if that is more convenient. 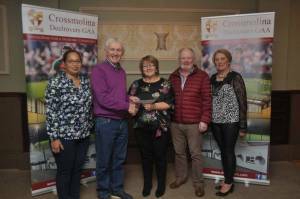 There was no winner of the Crossmolina Deel-Rovers GAA Club Lotto Jackpot on Saturday night 26th January. The numbers drawn were 13 – 22 – 23 – 28 one ticket matched three numbers. Denise and John Cooney Ballina Rd Crossmolina they win €150. The draw took place in The Thatch Bar. This Weeks Jackpot is €3,150. Many thanks for your continued support. Pieta House provides counselling, therapy and support to individuals, couples, families and children who have been bereaved by suicide. St Vincent de Paul Thanks. The Society of St Vincent de Paul Crossmolina would like to thank everyone who contributed to their recent Christmas food appeal. Many thanks to the local shops, schools and also to those who gave private donations. If anyone needs assistance please contact us in confidence on 087 2509534. Crossmolina Day Centre will have Vera Naughton, Beauty Consultant giving a make-up demonstration 11.00am-12m/d and Elsa (Arts & Crafts) will do a craft demonstration from 12 -1pm. €5. All welcome, light refreshments served and Community Bus available. The death occurred peacefully on Friday 18th January of Julia Sheila Naughton nee Dowling Muckross Rd Killarney and Cardiff South Wales and late of Derryleigh Blackvally Killarney Co Kerry. Her remains were removed on Thursday from Knock Airport to the Church of our Lady Kilmurray with requiem mass on Friday burial afterwards in the adjoining cemetery. Julie was predeceased by her husband John Naughton formerly Derryhillagh is survived by her family John, Vincent, Diane, Kevin, Jacqueline and Michelle, mother to Mary, Barrie, Deane, Rebecca and Ray. An adored Nannie of Kerry, Lorna, Daniel, Ben, James, Caitlin, Josie, Niall Vincent, Jessica and Rachel, sister of Eileen and the late John, Kathleen, and Mary, Sisters – in – law, brothers – in – law, nephews, nieces, relations, extended family and friends. May she rest in peace.